And here is the sketch for Stamp Ink Paper #62. I started by stamping the “Christmoose” sentiment in Garden Green ink on a panel from the Warmth & Cheer DSP Stack (available Sept 1) with the Labeler Alphabet photopolymer stamp set. 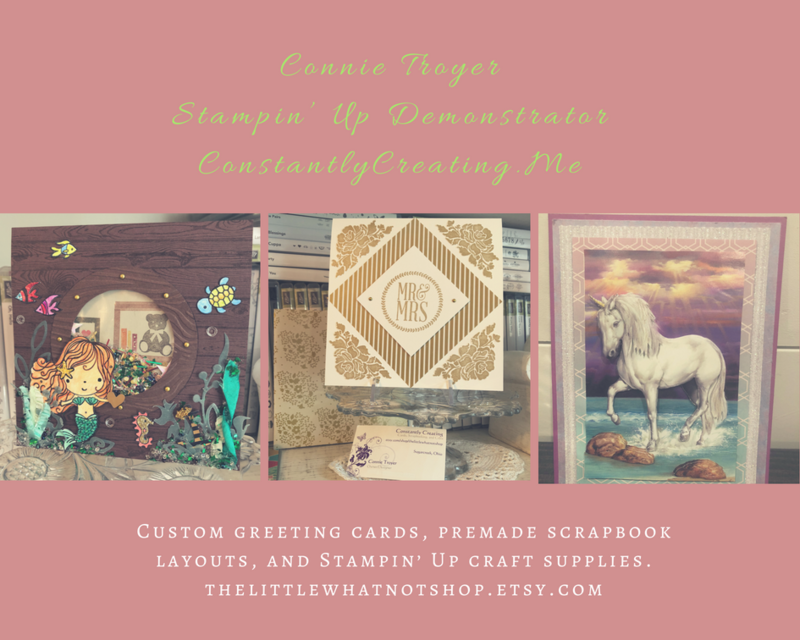 I adhered the stamped panel to a panel of Garden Green card stock with SNAIL and then to a Crumb Cake card base with Stampin’ Dimensionals. I cut the “merry” sentiment from Garden Green card stock with the Christmas Greetings Thinlits Dies. I adhered the die cut to the card front with touches of Multipurpose Liquid Glue. I added a gold enamel star from the Metallic Enamel Shapes pack next to the sentiment. 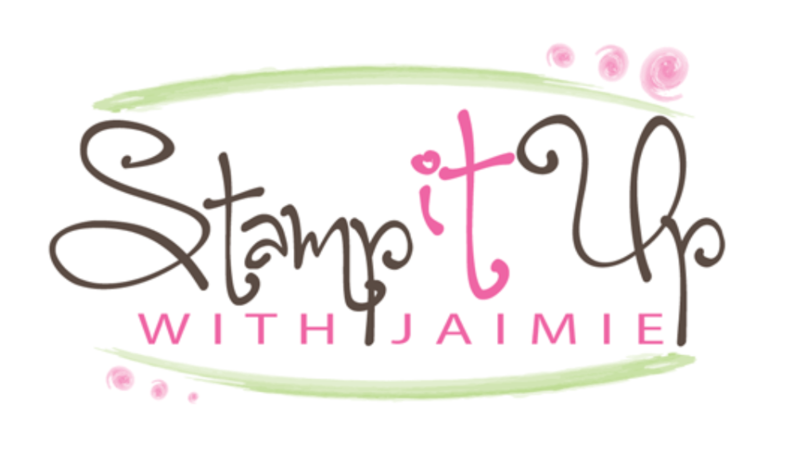 I stamped the moose image from the Jolly Friends photopolymer stamp set (available Sept 1) in Soft Suede ink on a panel of Whisper White card stock. I used Crumb Cake ink and a Blender pen to color the antlers on the Whisper White panel and then I cut the image out with a Layering Circles Framelits Die. I cut a panel of Garden Green card stock with a scalloped circle die from the Layering Circles Framelits Dies and I adhered it to the back of the stamped die cut and then to the card front with SNAIL. I stamped the hat and scarf images from the Jolly Friends stamp set in Garden Green ink and the trim images in Delightful Dijon ink on a Whisper White card stock panel. I used a Blender Pen along with Garden Green and Delightful Dijon inks to add some additional color to the images. I stamped the moose image again in Soft Suede ink on a panel of Crumb Cake card stock and snipped out the “face”. I punched the hat pieces out with the matching Jolly Hat Builder Punch (available Sept 1) and adhered them with touches of Multipurpose Liquid Glue to the Crumb Cake moose. I snipped out the scarf image and adhered it to the back of the Crumb Cake moose with Multipurpose Liquid Glue. I adhered the Crumb Cake moose image over the stamped image on the card front with Multipurpose Liquid Glue. I carefully inked the holly image from the Snow Place stamp set in Cherry Cobbler and Garden Green inks, stamped it on Whisper White card stock and cut it out with the matching Snow Friends Framelits die. I adhered the die cut to the hat with a Glue Dot. I stamped the sentiment and holly leaf images from the Stitched with Cheer stamp set photopolymer (available Sept 1) in Garden Green ink and the holly berry images in Cherry Cobbler ink on a panel of Whisper White card stock inside the card. This entry was posted in Holiday/Christmas and tagged Jolly Friends, Labeler Alphabet, Snow Place, Stitched With Cheer. Bookmark the permalink. Wow Amy! Love this card — super cute and super creative! Thanks Roberta! The little moose image is just too cute, isn’t it? Well it doesn’t get any cuter than this! Adorable card! Oh my gosh!! Off the charts CUTE!! I love the way his scarf hangs down – lol!! Perfection!! Amy, I just love your Christmas cards. They are adorable. You sure know how to put them together to make a statement. Hopefully I will be able to get these yet this year. Amy, what a fun card! I just love this!! this is just the cutest! I love how the scarf hangs down!!! He makes me SMILE! So cute…. It’s such a treat looking at your animal cards. This one is adorable! !